Written by nationally recognized anthropologists Conrad Kottak and Lara Descartes, this ethnography of largely white, middle class families in a town in the midwest explores the role that the media play in influencing how those families cope with everyday work/family issues. 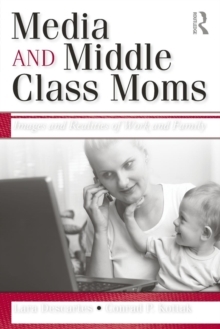 The book insightfully reports that families struggle with, and make work/family decisions based largely on the images and ideas they receive from media sources, though they strongly deny being so influenced. An ideal book for teaching undergraduate family, media, and methods courses.